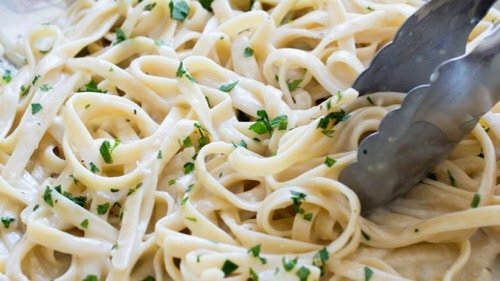 If you've been missing soul-soothing, heart-warming alfredo goodness, this keto fettuccine alfredo recipe is just what you need! Did you use two teaspoons of salt or tablespoons? I ask because I make this dish regularly and it’s always been ok for me. Having said that, sometimes I have a higher salt tolerance than others. Just trying to make sure I know so I know how to fix and get better!